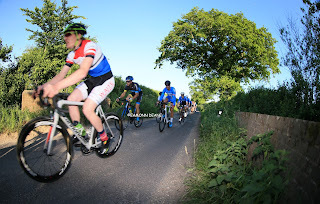 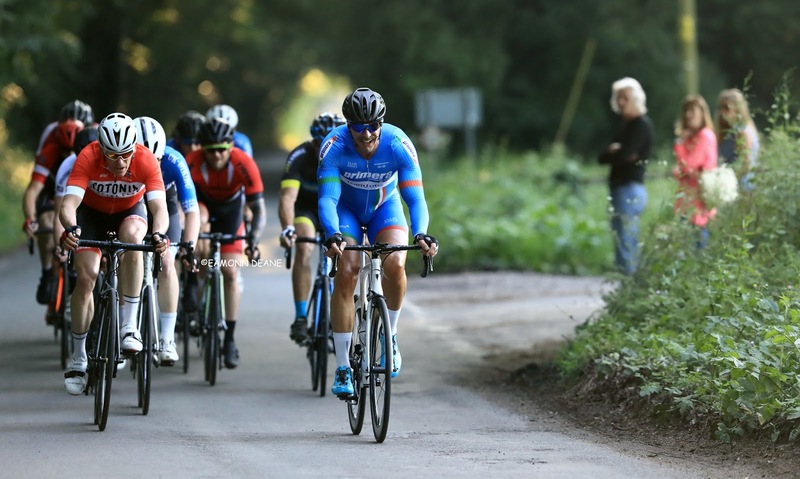 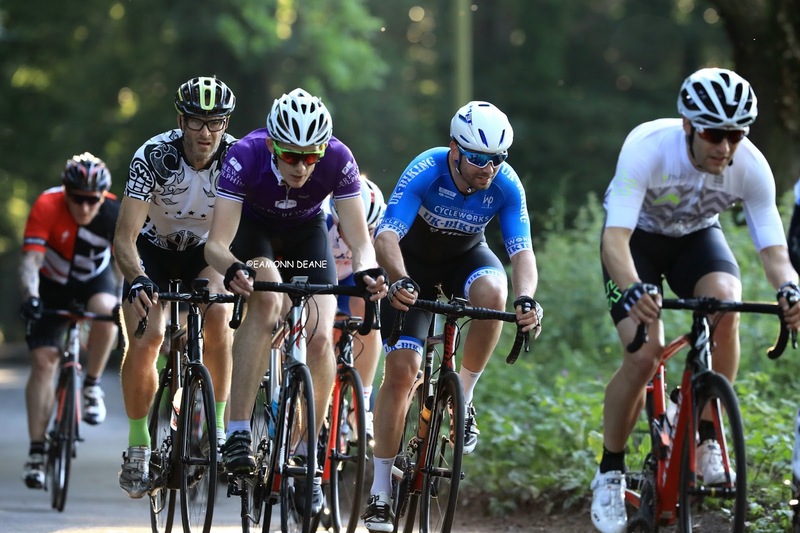 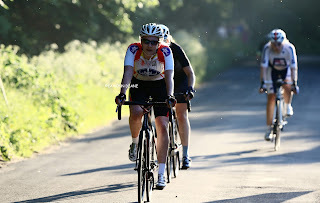 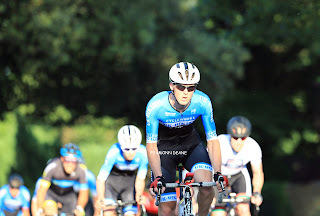 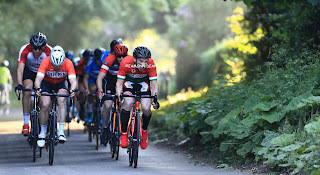 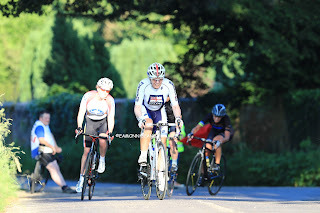 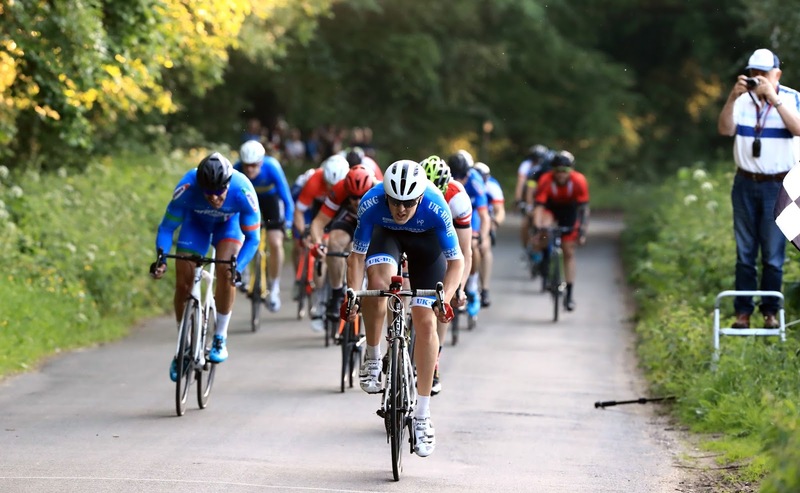 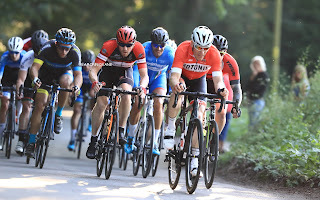 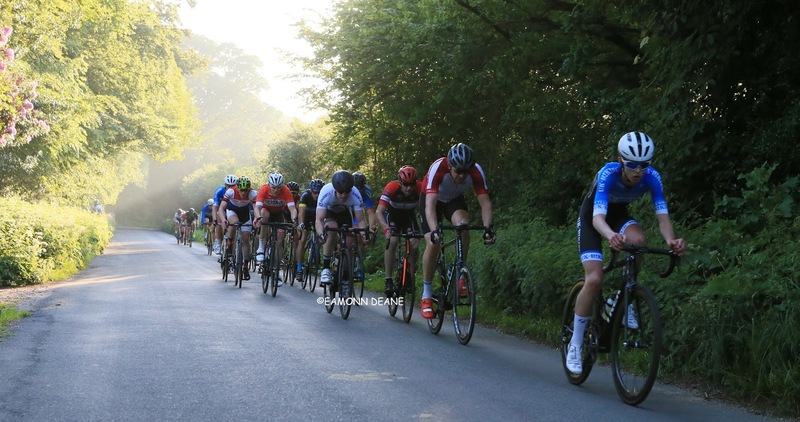 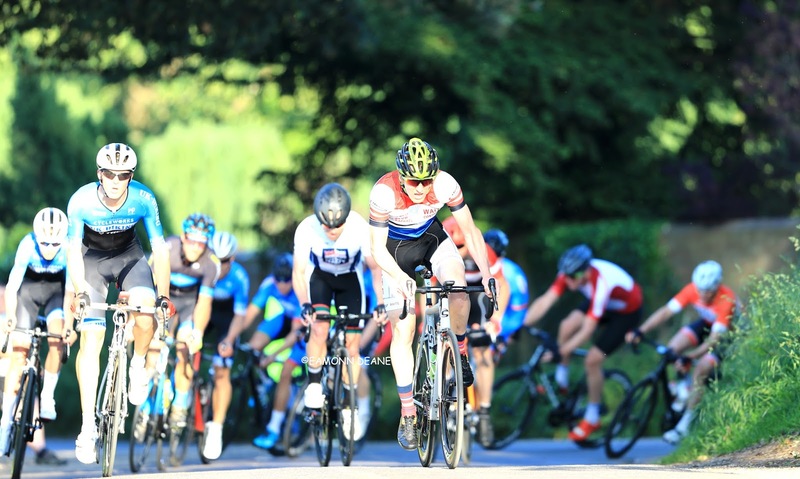 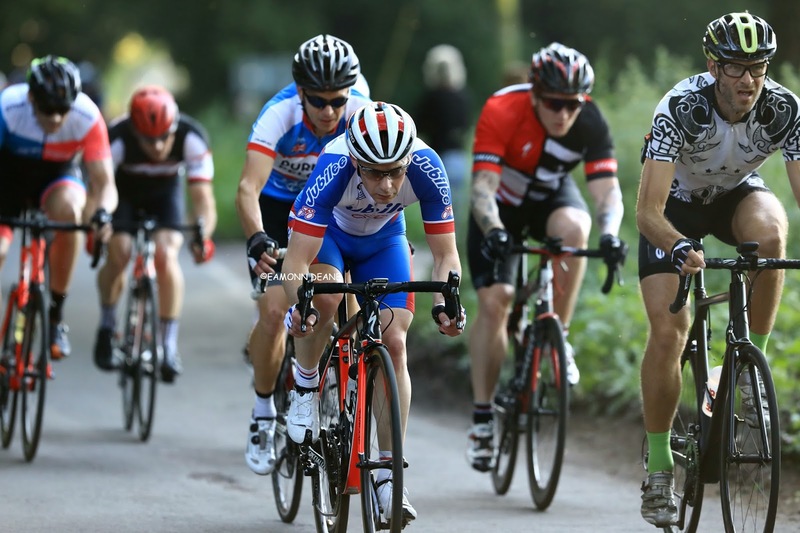 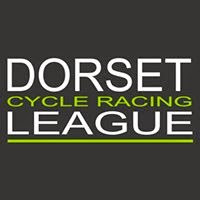 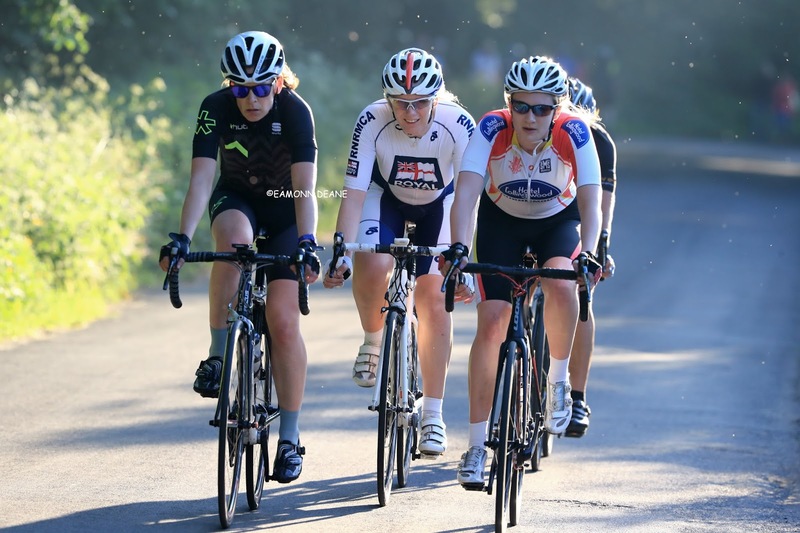 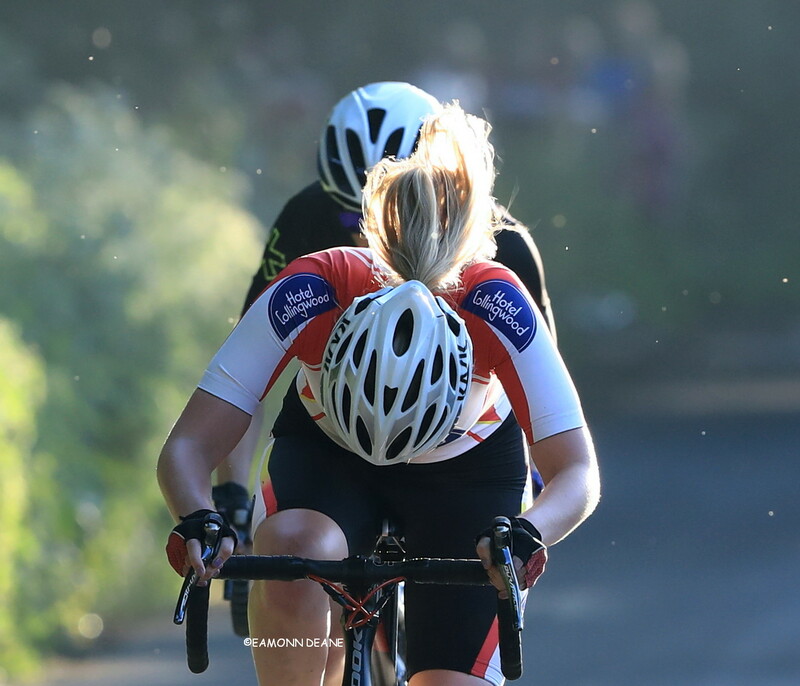 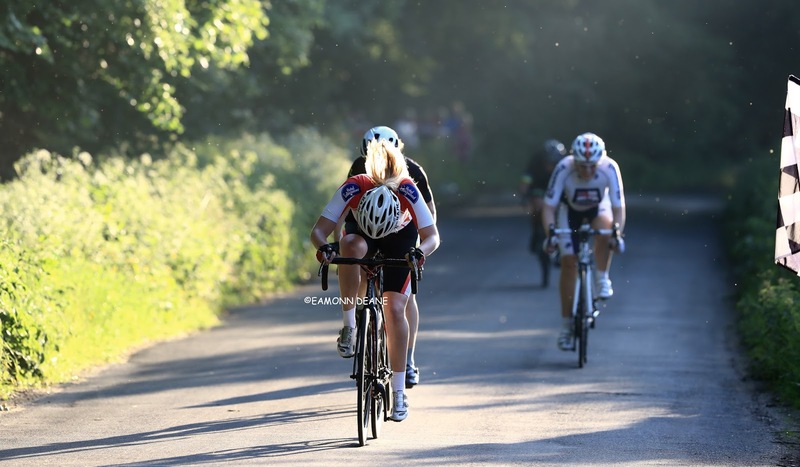 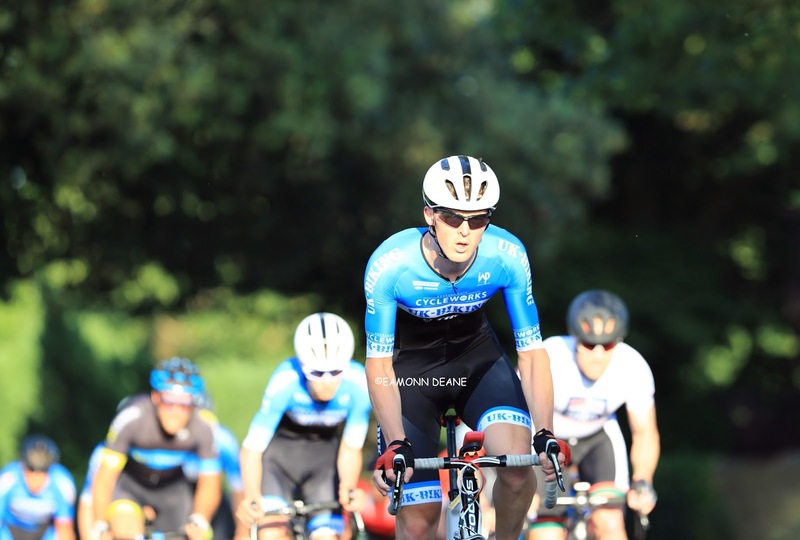 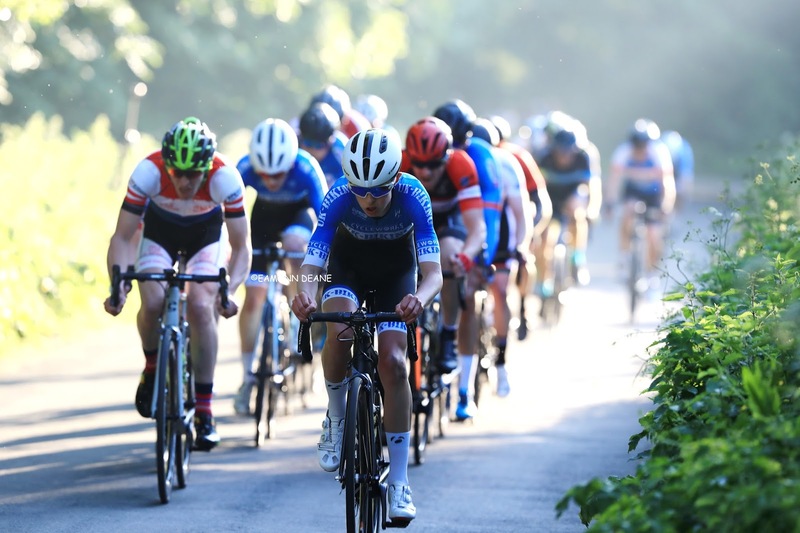 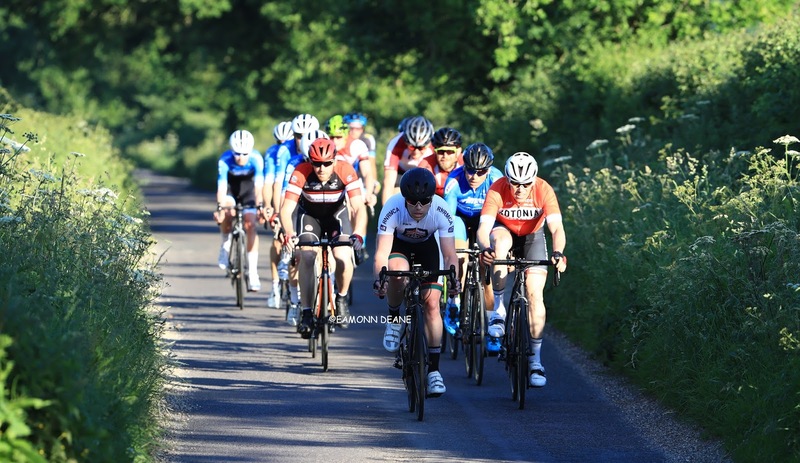 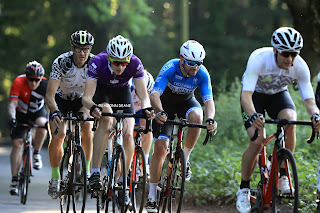 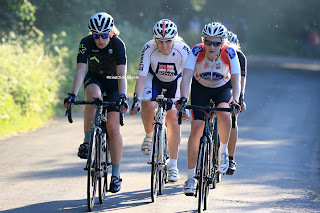 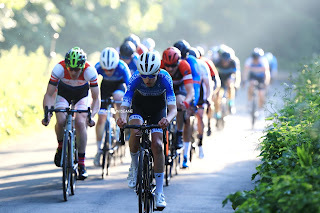 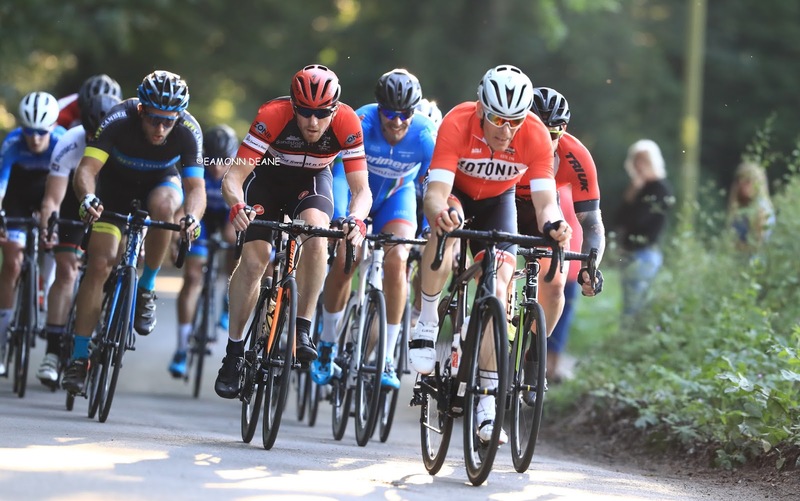 Martin Rowland (UKB-Bournemouth Cycleworks Trek) won round 4 of the Bournemouth Cycleworks Moreton series on another perfect evening in Dorset. 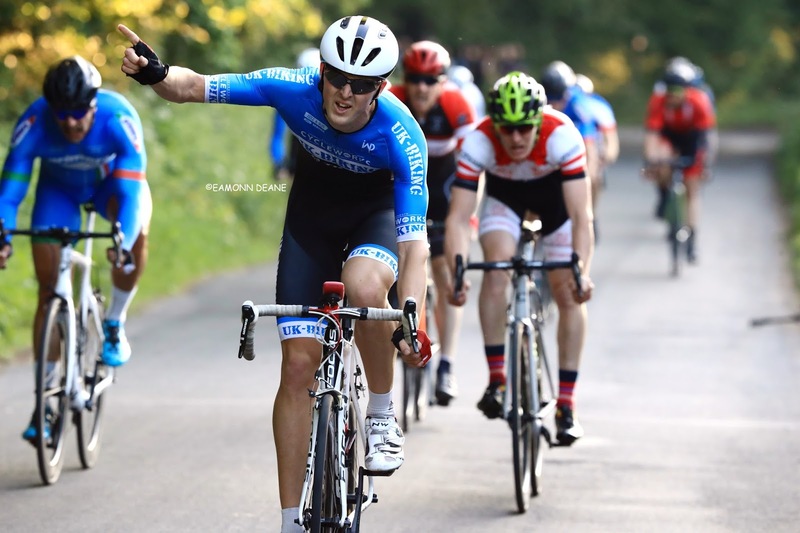 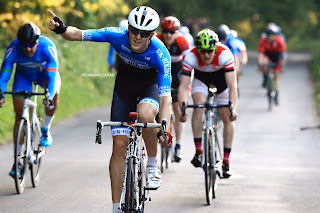 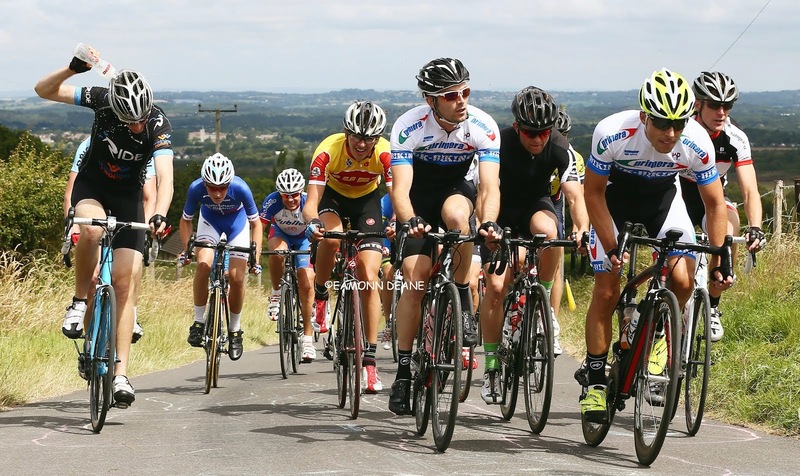 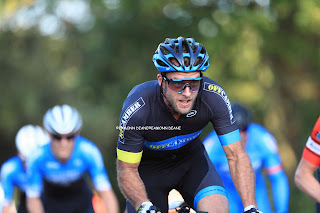 Rowland waited for James Horton (VC ST Raphael) to make his move before coming round to win comfortably with last weeks winner Jason Gault (Primera-Teamjobs), relegated to third place this time. 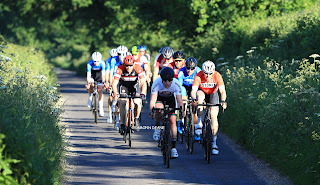 Horse riders on the circuit had briefly delayed the scratch group before the inevitable catch with three, 3 mile laps remaining. 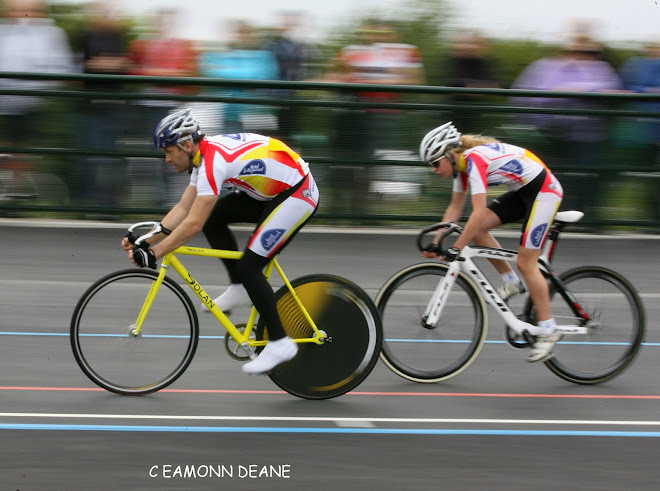 The flat track at Moreton makes it hard to escape with most thinking of the sprint well before the bell. 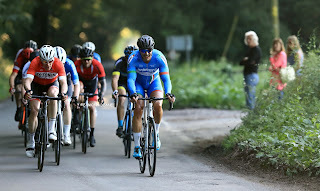 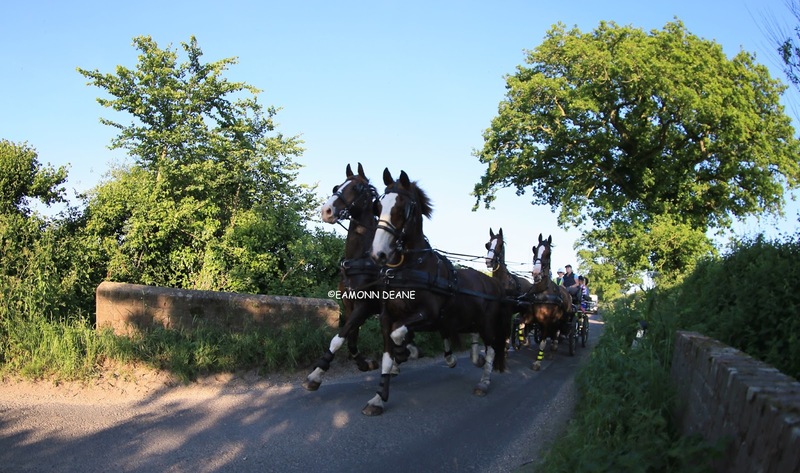 The pace on the bell lap did split the bunch,,leaving the strongest to fight it out "I saw a gap and just went for it" said a happy Rowland at the finish. Molly Haycock (Bournemouth Arrow CC) took another in the womens race to add to her growing palmares. A winter with little riding and "A level cramming" has accounted for some of Haycocks pace but she still had too much in the tank distancing Lora White & Rachel Hackman in the kick for the line.